The Cloud Is Calling: Are You Ready to Answer? 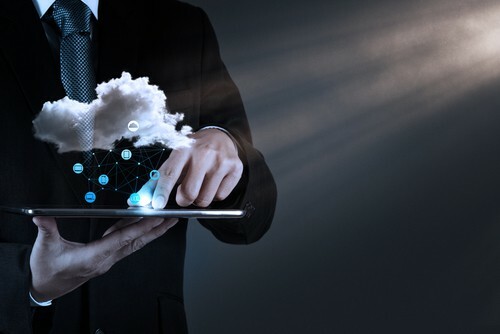 Making the switch over from a traditional model to a cloud system can benefit your business—helping to reduce company costs and increase sales conversions. But how exactly can a cloud contact center impact your business? 62 percent of 169 organizations surveyed were using cloud based call centers as of 2013, according to DMG Consulting. Here’s a roundup of the benefits and things to look out for when you make the switch. A traditional call center entails computers running necessary software, local IT support, on-site servers and other hardware working efficiently to keep the center up and running. When a call center exists in the cloud, a company is logging in to use all of the necessary systems to run their business. Much like logging into an email or streaming your video library directly from Amazon, a cloud call center system can be used from any location. Because the cloud exists virtually, a crisis can be tamed before it escalates. An issue like smoke or fire damage is a non-issue for your company. Agents can simply go home or go to another center and log into their systems to start working with customers. And because you’re not storing local hardware and software for your contact center, you never have to worry about last-minute repairs or emergency IT support to come on-site for a costly repair. Traditionally, call center costs were astronomical with fees for software licenses, installation, annual maintenance and the sheer expenses to keep the infrastructure up and running. Aberdeen Group discovered companies that use a cloud contact center have 27 percent lower costs compared to their peers who operate with a traditional contact center. A cloud-based service offers pricing based on a variety of factors and company size. Some don’t charge for the software, but instead charge for the telecom usage through the hosted software solutions. Cloud center solutions will also automatically upgrade your software, further eliminating the need to purchase updates and new equipment. Not all cloud call center systems are created equally. Look for services that offer mobile API to connect your agents to customers. Choices range from voice chat, text chat and even leverage the camera functionality of most mobile devices. The ability for an agent to see what a customer is doing and an issue with a product can make it easier to diagnose the issue and help with a repair. Try testing out a cloud contact service with a free trial. Cloud specialists can assist you throughout your demo and answer your questions pertaining to the service before you commit. Cloud-based contact centers are increasingly adding features like call tracking. Now companies can use virtual phone numbers and attach them to specific campaigns. Their call center can keep track of customer promotions, so you know how the ad performed. Businesses can use their cloud center’s customized menu options to qualify new sales leads. Being able to keep such detailed track of your marketing, leads and conversions can mean a more thorough understanding of your company’s revenues and possibly reduced marketing expenses. Scalability has always been limited to on-site call centers. When contact leaders know a surge of calls will come in, it’s difficult to add any additional infrastructure. Instead, customers are left waiting on the phone for an answer to their problem. A cloud-based call center can adjust to your needs and scale up or down as needed. Most cloud centers charge only for the telecom or data that has been used. Your costs easily adjust depending on the volume of incoming calls. Cloud centers can also serve call center and at-home agents in multiple locations making it easy to add team members as needed. This entry was posted in Tools and tagged cloud, mobile on August 25, 2014 by The Core Team.